David Le/Gloucester Daily Times. 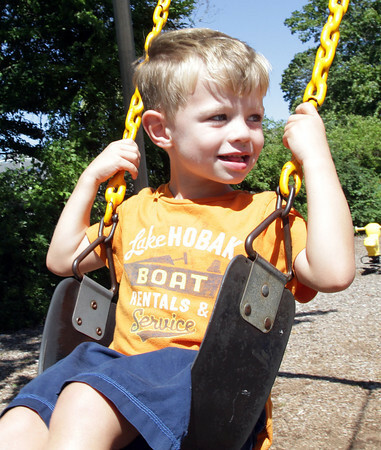 Carson Croft, 4, of Manchester, smiles at his twin brother Jarrett (not pictured),while sitting on a swing at Masconomo Park on an August afternoon. 8/23/11.